I love this, it’s a very clear description! 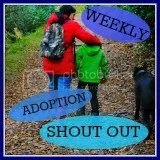 Hi … I am a 48 year-old Adoptee and brand new to WordPress. I plan to read through your blogs; this one in particular did catch my eye. I have said for years that Adoptees are very different from people who are not. I was adopted as an infant – placed with my adoptive family at six months of age. For the first several months of my life I lived with a foster family while the legalities were being completed. There certainly must have been some type of situation in my being taken from the person I had grown familiar with intrauterine, then being with a family that showed love and caring for many months, then being put into an entirely different family. That is a lot of moving around – a lot of changes for an infant – and yet it is the face of adoption gone well! Imagine the face of adoption that does not go well. Attachment disorders and all other things come when the natural flow of life is interrupted. I do not think my adoptive parents – mother in particular – really grasped or grasp the idea that when you adopt a child it is more than a process – it is a person. This person has different DNA than you have and comes from an entirely different make up and background. I never met my birth mother – she had deceased when I found the family. My sister, my birth mother’s husband, her friends, neighbors, brother, cousins, her aunt – they all go on and on about, not only how I look just like her, but how I have mannerisms like hers and I sound like her and get excited about the same types of things that she did. DNA is must larger than I ever imagined, because how could I possibly have so much “peripheral” “stuff” in common with someone that I never met? It amazes me and boggles my mind, quite honestly. Not only that, however, but also it makes clear for me why I did not feel that I fit with my adoptive family in totality. I have had a disconnect with my parents practically my entire life. I love them – because it seems that I’ve always known them – but we are so different on so many levels and I never understood that. I thought something was wrong with me – like I was the “Ugly Duckling” when in actuality I just happened to belong in a place where I didn’t fit due to other circumstances. So, I was made to fit elsewhere. It’s a strange dynamic and one that separates adoptive parents from anyone else. I believe it takes truly unique people to adopt children and embrace the birth parents and the birth family history. I believe it takes recognizing that it’s ok to be different and making sure that the children understand that it’s ok to not be just like “mommy and daddy” because the are in fact different. The difference has to be celebrated, acknowledged, and there can only be hurt, anger, and self esteem issues that come from trying to make someone fit where they biologically and emotionally can not fit. That does not mean that adoptees can’t fit into adoptive homes. It simply means that adopted children must be able to embrace the fact that they come with different DNA, experiences, appearances, etc., and that they are still perfect just as they are. They have to be embraced as who they are and not made to feel like they have to be like their adoptive families. Doing so – making them feel that way – will leave them struggling with “what is wrong with me” when in fact there is nothing wrong with them at all.